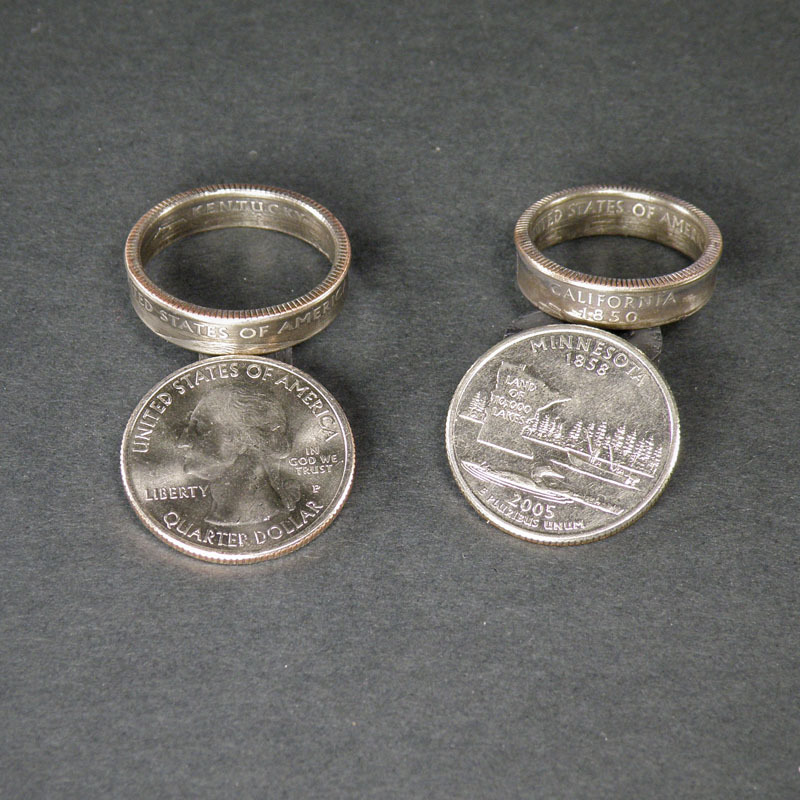 These coin rings are custom made to order using coins produced by the United States Mint, starting with the 1965 mintage. 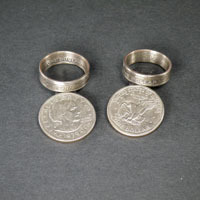 The available sizes range from size 7 to 11. 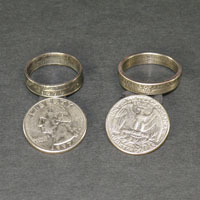 Please contact us about 5 and 10 cent ring size limitations. 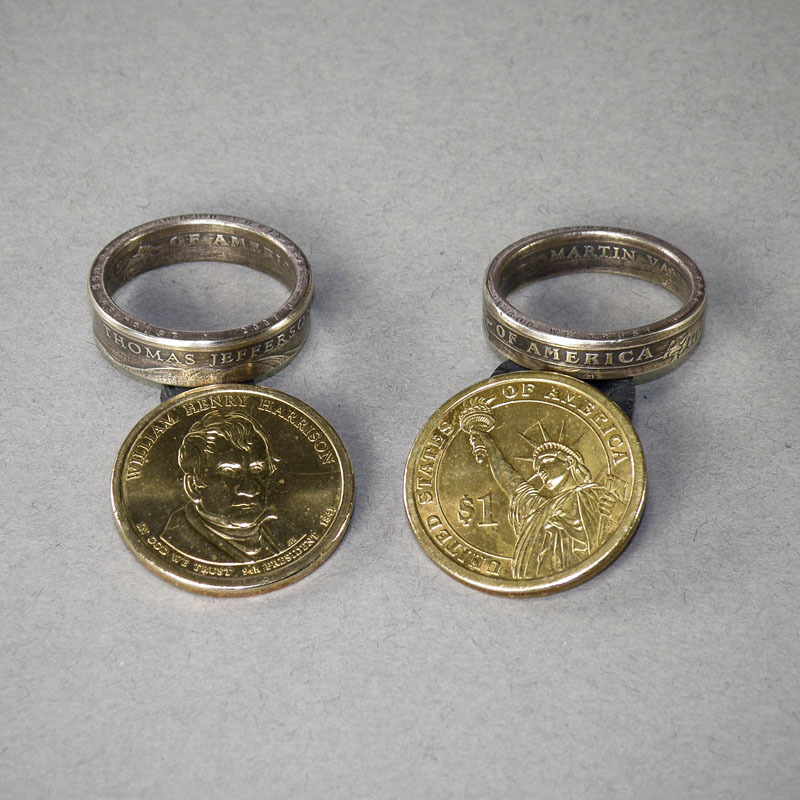 1 Dollar Coin* ~ Sacagawea (gold tone), Susan B. Anthony (silver tone, and the Presidential (gold tone). 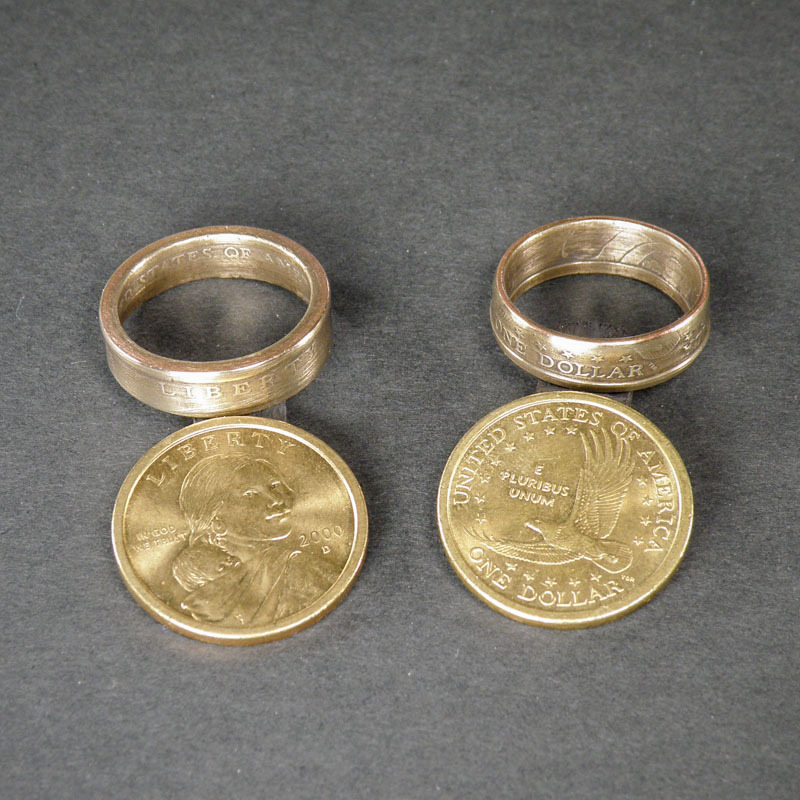 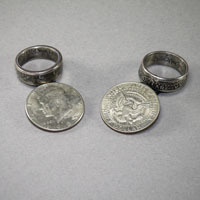 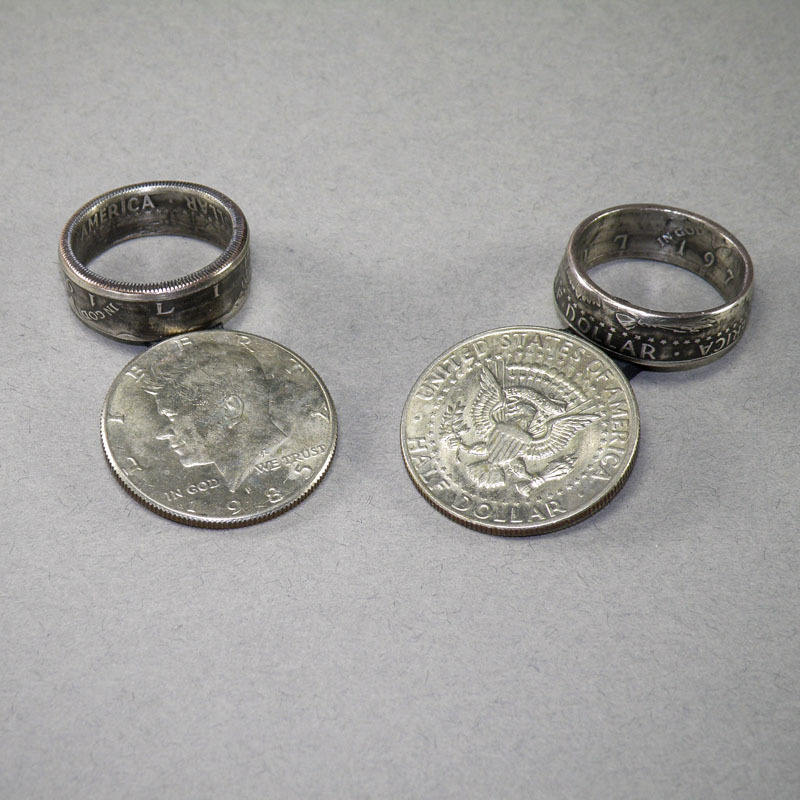 *NOTE – These rings are made using the "clad coins" starting with the 1965 mintage. 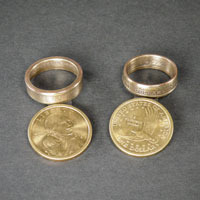 When ordering please specify your ring size, coin value, coin style. 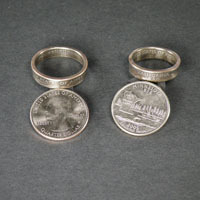 All rings are made to order and are subject to availability.